Your body needs protein to maintain organ and tissue structures and it's needed for immune system function. It's not difficult to get enough protein from your diet, but snacking on a protein bar is a good way to keep you feeling satisfied between meals. 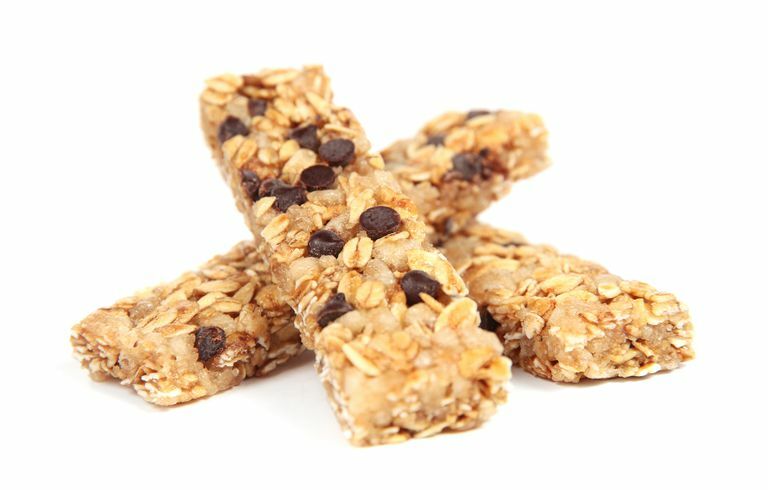 Some of the protein bars found in grocery stores and markets have a good amount of protein without too many extra calories, but some are loaded with sugars and fats so they look (and taste) more like candy bars. So my suggestion? Make your own. When you make protein bars at home, you'll control all the ingredients so they can be as healthy as you want them to be. Making protein bars isn't difficult, just about as easy as baking a batch of cookies. And since you control the ingredients, you can find recipes that use a little less sugar, healthier fats or more fiber, whatever you need to fit your diet. Another advantage to making protein bars at home is the substantial cost savings. Individually wrapped protein bars are expensive compared to buying the ingredients and putting a little time into production. I also like the fact that you can tweak and ingredients to adjust the flavors. There are plenty of delicious protein bar recipes on cooking, health and fitness sites. When you're searching for protein bar recipes, be sure to look for healthy ingredients such as oats, nuts, seeds and dried fruit, along with protein powders or nut butter. Some recipes require baking and some don't. Preheat oven to 350 degrees Fahrenheit. Lightly grease an 8-inch-by-8-inch baking dish with margarine or butter. Or you can spray it with cooking spray. Add oats, protein powder, hemp hearts, cinnamon, and salt to a large mixing bowl. In a medium-sized mixing bowl, combine peanut butter, honey, almond milk, and vanilla extract. Mix until thoroughly combined. Pour the wet mix into dry ingredients and stir until fully incorporated. Fold in chocolate chips. Pour the mixture into the baking dish. Spread the mixture evenly into the dish, pressing down firmly. Bake for 18-20 minutes, until the edges begin to turn golden brown. Remove from oven and let cool in pan for 20 to 25 minutes before cutting into bars. Store in the refrigerator. Makes about one dozen bars. You can wrap your bars individually and carry them with you for a mid-day snack at work or school. Or eat them as a little recovery meal after your workout. Try different flavors of protein powder. Vanilla is a good start, but you might like chocolate or another flavor. Use ground flax or chia seeds in place of the hemp hearts. Any of these options will add beneficial omega-3 fatty acids. Experiment with almond, soy or cashew butter instead of the peanut butter. The honey can be swapped out for agave or maple syrup. The chocolate chips can be replaced with butterscotch or white chocolate chips. Or try an equal amount of raisins or other small dried fruits or chopped nuts. The total nutrition for these bars will vary a bit based on the ingredients you choose, but with the basic recipe, each bar will have about 170 calories, 6 grams protein, 23 grams carbohydrates, 3 grams fiber, and 7 grams fat.7 grams fat.